Ninety-nine Egyptians were killed by police and the army, while 10 died in police stations and prisons, during the month of July, according to a report issued by El Nadeem Centre for Rehabilitation of Victims of Violence. The centre provided a list of names of victims reportedly subjected to torture and killed by security personnel. The report also lists the incidents in chronological order across Egypt’s different governorates. 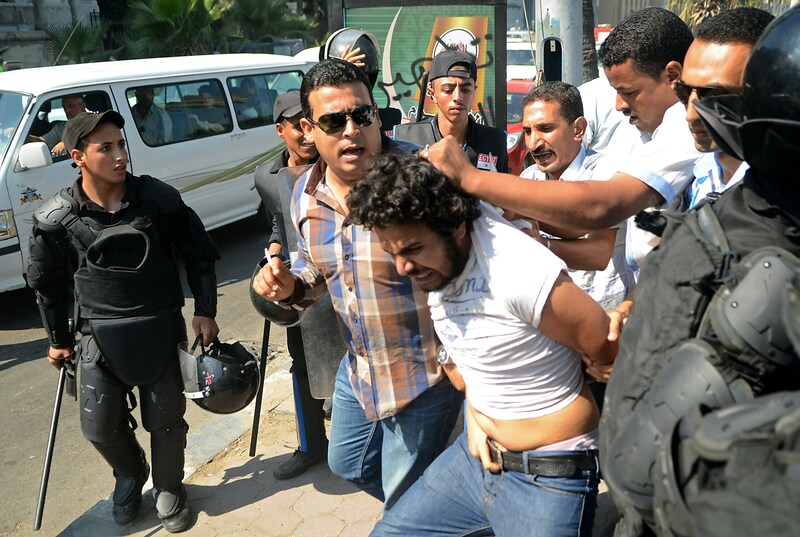 The centre additionally provided a list of testimonies, reports, and photos supporting each case of violence administered by Egyptian police. Ninety-three of the causalities took place in Sinai, and were mostly a result of military activities done in the restive peninsula. Most of the documented killings are confirmed by the Egyptian military or by anonymous sources that made statements to private newspapers. Most of the causalities are called “terrorists”, “extremists”, “militants”, or “dangerous elements”. Other sources for the report’s numbers were reports from local human rights organisations. Neither TV stations nor independent media outlets are allowed to cover the violence in Sinai, which includes confrontations between militants and Armed Forces, kidnapping of civilians, bombings, and enforced disappearances. Each Egyptian newspaper has a reporter assigned to cover the news of the Armed Forces, publishing press statements coming from the Ministry of Defence’s public relations office. The statements usually claim that there are dozens of casualties, who are usually unnamed. On the other hand, private newspapers quote unknown “high ranking” security personnel confirming dozens of casualties, without the confirmation of the Armed Forces spokesperson. Sinai has become the scene of frequent clashes between militants and state security forces. 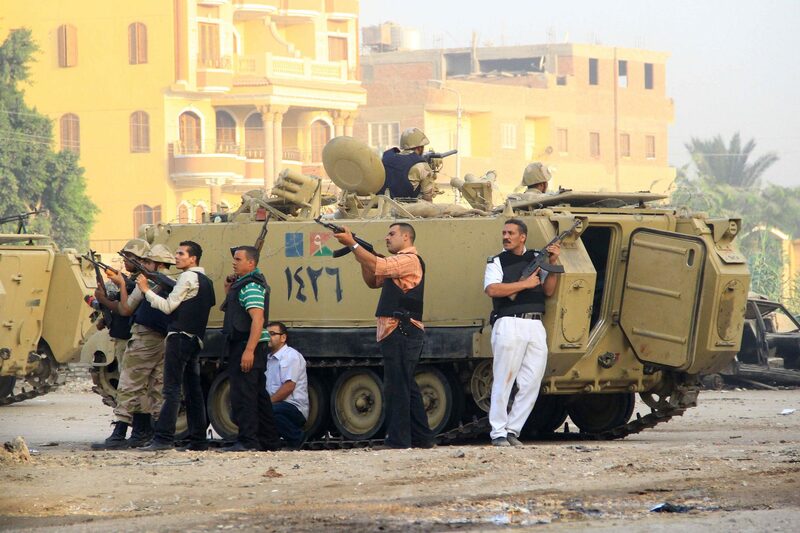 The insurgency in the peninsula peaked after the ouster of former president Mohamed Morsi. 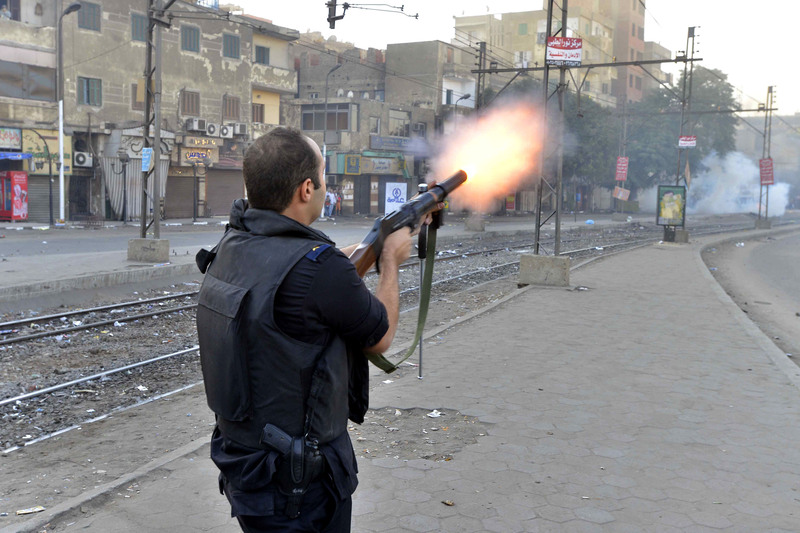 Among the 99 casualties was the killing of a man during a police chase, in which a police force fired at a civilian in Mansoura, which ultimately killed him. Angry civilians detained some of the police officers as a reaction. The officers were later released following the Armed Forces’ intervention. The El Nadeem report also cited 10 cases of death in detention, ranging from medical negligence, to “circulatory failure”, to death by torture. Among the cases are those of political prisoners Mohamed Al-Batrawi, Ramadan Gomaa, Abdel Fattah Khedr, and Mohamed Al-Shohna. Statistics for deaths in prisons are usually reported by families of victims and health sources. However, the Ministry of Interior does not confirm these deaths. 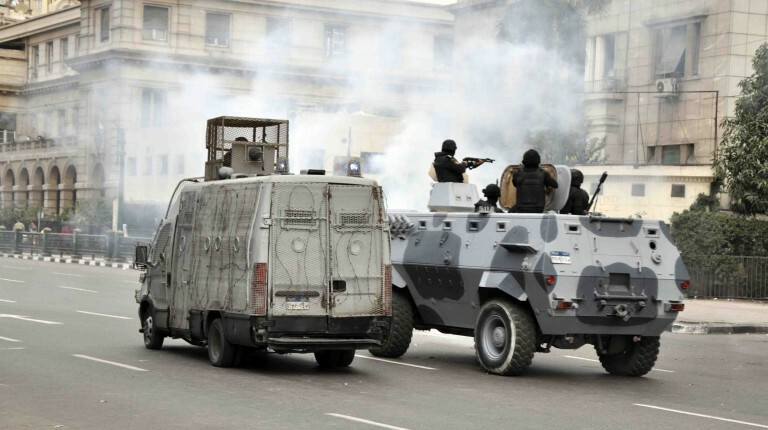 In police stations, five deaths were reported, which the deaths of Mahmoud Hamed, Mohamed Saleh, and Mohamed Samir. The report also documented 72 cases of torture in different police stations countrywide, as well as 62 cases of forced disappearance. At the beginning of July, Amnesty International released a report in which the organisation documented cases of enforced disappearances in Egypt and accused Egyptian authorities of torturing missing individuals. In the cases known to Amnesty International, those subjected to enforced disappearance were held from periods ranging from four days to seven months. They are usually held in police stations, central security force camps, or National Security Agency offices. In cases when someone disappears for a long period, they are assumed to be on agency premises. In response to the claims in the report, the Egyptian Foreign Ministry released a statement saying that it will not comment on the report because Amnesty is motivated by political opinion, citing its “impartiality”.